written when he was 22 years old, was published in 1985 in National Review magazine. Thank you for your support of FGF and the Sobran column. Joe Sobran received his B.A. in English from Eastern Michigan University and pursued graduate studies in English, specializing in Shakespeare. From 1969 to 1970 he taught English on a fellowship and lectured on Shakespeare. In 1972, he went to work for National Review magazine, beginning what would be a 21-year stint, including 18 years as senior editor. 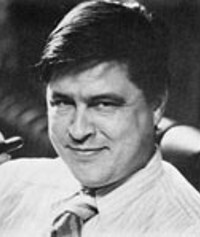 From 1979 to 1991, Mr. Sobran was a regular commentator on CBS Radio’s “Spectrum” series. Starting in 1979, his columns were syndicated by the Los Angeles Times Syndicate and later with Universal Press Syndicate and Griffin Internet Syndicate. For 20 years, he wrote the weekly column “Washington Watch” for The Wanderer, a weekly Catholic newspaper. He has also written for numerous other publications over the years including Human Life Review, Celebrate Life! and Chronicles magazine, for which he writes a quarterly essay. Mr. Sobran is the author of three books. Single Issues: Essays on the Crucial Social Questions was published by The Human Life Press (New York, 1983) and is now available as a data CD. His book on the Shakespeare authorship question, titled Alias Shakespeare: Solving the Greatest Literary Mystery of All Time, was released in May 1997 by the Free Press. Hustler: The Clinton Legacy, a collection of essays selected and edited by Tom McPherren (with a foreword by Ann Coulter) was published in 2000 by Griffin Communications; and republished by FGF Books, the publishing imprint of the Fitzgerald Griffin Foundation, in 2016. Joseph Sobran: The National Review Years was published by FGF Books in 2012. Subtracting Christianity: Essays on American Culture and Society, a collection of 117 Sobran essays was published by FGF Books in 2015. 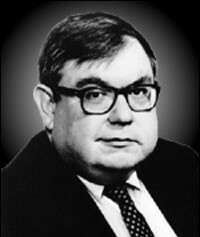 From 1994 to 2007, he was editor of SOBRAN’S: The Real News of the Month. a monthly newsletter of his essays and columns. Joe Sobran died on September 30, 2010. Praised by Patrick Buchanan and many others as "the finest columnist of our generation" — his eloquent writing style is still enjoyed today. See some of the obituaries for him, below. The copyrights for all of Mr. Sobran's columns and articles are owned by the Fitzgerald Griffin Foundation. • March 23, 2016 – Happy Easter! • November 4, 2015 – Do We Have Souls? • July 29, 2014 – Who’s Self-Righteous? • June 8, 2012 – Victory in 2004! • May 25, 2012 – By Permission or by Right? • April 5, 2012 – Did The Passion of the Christ have "Excessive Violence"? • March 14, 2012 – What Do We Owe the State? • February 29, 2012 – Hail, Switzerland! • January 19, 2012 – How Killing Became a "Right"
• December 30, 2011 – Christ the Culprit? • December 16, 2011 – Is Darwin Holy? • December 15, 2011 – Can God Speak to Us? • October 11, 2011 – What About Elián? • July 22, 2011 – Change This Document! • April 28, 2011 – Why Can’t the Americans? • October 1, 2010 – "YOU CAN'T MEAN IT!" • September 10, 2010 – The Uses of "Hate"
• May 27, 2010 – Candor, Anyone? • April 8, 2009 – World War V, Anyone? • January 1, 2009 – Do We Need the First Amendment? • November 27, 2008 – Can Dr. Laura Be Tolerated? • October 24, 2008 – Patriotism or Nationalism?